How younger siblings can really help you make that love connection. Since yesterday's post about birthdays, I have been thinking about meeting my husband, James. We met a week after my 17th birthday so I always think about it when I'm thinking of birthdays. I remember that I was wearing a brand new outfit that was a birthday present. I remember I was totally wearing a vest. Vests were the thing in the mid 90s. I got all my style ideas from Helen Hunt's character Jamie on Mad About You. Or maybe I was trying to dress like Paul Reiser, because I found only one picture of Helen Hunt in a vest, and I found 3 pictures of Paul Reiser in vests. 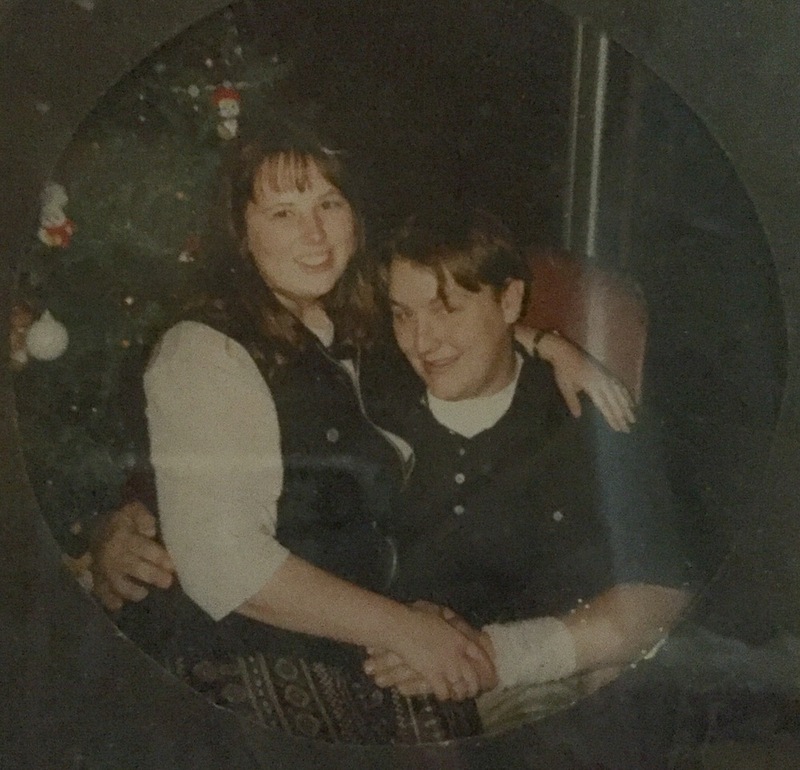 At any rate, it was the 90s and I was wearing a vest. There was a couple in our church named Jerry and Ida. They were friends with my family, and they also had become good friends with James's family as well. On the cusp of this brand new church youth group movement called True Love Waits, Burleson, TX held a city-wide rally. James's church was going, and Ida and Jerry invited me to tag along. So that was our first meeting - going to a rally for sexual purity. Our poor kids. They don't stand a chance trying to pull shenanigans when they start dating. I'm pretty sure my parents dropped me off. James hadn't arrived yet. He had been working on his car all day. His younger sister Anna was there though. She proceeded to tell us that James was running late because it took FOREVER to dry his jeans, and that he was SO BIG that he could take up a whole laundry load with one pair of jeans. She was laying the ground work for our instant attraction, for sure. So here's the deal. James and I are both shy. We are both pretty shy now, but back then we were excruciating shy. We met that night, and we spent the next three months getting to know each other at church events and outings. We met in February, and it took until May for James to get the courage to ask me for my phone number. Neither of us had game. The night he finally asked me for my phone number, I had brought my 12 year old brother Jason with me to his youth night. After the Bible lesson. Here's how it went down. James: "So I was thinking I might ask you for your phone number." 12 year old brother Jason: (yelling, quickly and excitedly.) "4473148!" So if you are out there in internet land wishing you could meet the love of your life and you've got a little bro or little sis, you're going to want them there. Keep them with you where ever you go. It worked for me! And James too! Here's the thing about our lack of game and our True Love Waits meeting. It was nerdy and not smooth at all, but I'm completely thankful for our circumstances. And I'm so thankful for my husband. He's my favorite person.